We could write for hours about why video is the perfect tool for crowdfunding; the fact that it is the richest, most engaging storytelling media type in existence. 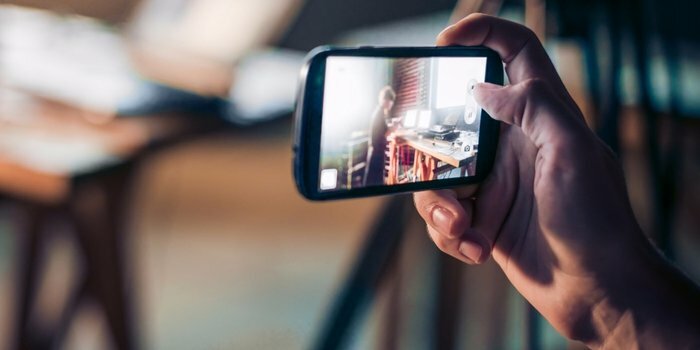 How long should the perfect pitch video be? The simple answer is: As long as it needs to be – and not a second longer! You want to tell your story and share your idea as thoroughly as you can to inspire your audience – but you also need to be aware that they generally have a limited attention span. Industry experts reckon you should aim for a maximum of 5 minutes – and this is a good benchmark to aim for in the first instance. Crowdfunding.io report that campaigns with videos under 5 minutes are 25% more likely to reach their goal than those with longer videos. But remember, no two campaigns are the same. What works for one idea, might not work for another. So be scientific. You can use video analytics to keep an eye on how long your users are watching. These tools come as standard with YouTube, Vimeo, Wistia and pretty much any other video hosting platform you could name. If you really aren’t happy with how your video’s performing, you can change it ‘mid-campaign’ on most platforms. But this is also useful information to keep in mind if, unfortunately, your campaign isn’t successful at the first attempt. If you decide to relaunch the campaign at a later date, you’ll have really useful intel regarding the optimal length for your campaign video. The most successful crowdfunding videos are the ones that really tell a story – with a beginning, a middle and an end. Beginning – how does the world look currently, without your product? What problem does your viewer currently face? For example, let’s say you’ve invented a new take on the travel pillow. You might start your video with footage of travellers struggling desperately to get comfortable on their flight, and have a voiceover that talks about how painful, tiring and stressful long journeys can be as a consequence. Middle – here, you want to introduce your product. Really sell it’s benefits. Talk about how it solves the problem and talk in some detail about the unique selling points that make your product different. Back to our travel pillow example; you could talk about how you’ve spent 2 years designing this pillow, from a simple sketch, through to a 7th and final version of your prototype. You could show a traveller using your state-of-the-art pillow and how comfortable/restful it’s made their journeys. You’re essentially offering a glimpse into how the world will look if your campaign is successful, and the product gets off the ground. End – finally, you should remind the viewer that this can only happen with their support. If the customer is the hero of any modern marketing story, then the backer needs to be the hero of your crowdfunding story. Your job is to articulately and persuasively state the case for your product, painting a very vivid picture of how it will change the world. But the core message has to call out to your audience; it has to say ‘without you, none of this happens.’ They wield the real power here. So make sure you call out to them and ask them to support you. It’s not just about what you say, or even how you say it. The most successful campaigns on Kickstarter are invariably the ones which fuse product with lifestyle. So choose an attractive location to demonstrate your product in its best light, and get out there filming. Alternatively, you might want to fuse in some stock video from a website like VideoHive. People who back crowdfunding platforms usually appreciate that they’re investing in a product that maybe isn’t quite fully evolved. In many cases, that’s the whole appeal. But they don’t want to feel like they’re investing in a pipe-dream. They want to know that you’ve already worked hard on the product development and that it’s at least some way towards being refined. Make sure your video touches on the work you’ve already done. It’s also important to demonstrate a tangible product and show, in detail, how it actually works. Maybe we should thank TV shopping channels or infomercials – because consumers really need to see this before they’re parted with their money. Again, it’s about having something tangible and credible to invest in. You could show a prototype. Animation is also a really nice and flexible way to demonstrate the finer points of how your product works. As important as your idea is, ultimately, people invest in people. It’s always been the case. How many times, down the years, do you think a bank manager taken a punt on a 50/50 business idea solely because they had faith in the person sat opposite them? It’s exactly the same with crowdfunding. If anything, it’s more extreme. Our era is characterised by a cult of entrepreneurship. The likes of Mark Zuckerberg and Elon Musk are celebrated to the point of being lionised. Consumers love entrepreneurs, doers, thinkers, founders, innovators. So one of your biggest strengths is…well, you! You don’t have to be on screen for the whole video of course. In fact, this would probably be incredibly boring (no offence!) You can choose to present and narrate the video, or just appear briefly as a talking head to cover the broad strokes of your idea. Either way, you need to be there. It’s crucial. Try using a teleprompter – but limit yourself to the key bullet points to avoid sounding over-scripted/forced. You can download free teleprompter apps for iPad and Android tablets, and have a colleague hold them just below camera level. Having an ‘agenda’ will help you keep your story focused and ensure you cover everything you want to. Relax. It’s so simple but so important. As a natural ‘motor-mouth’ myself, I know only too well how easy it is to slip into talking at 100km per hour. So concentrate on taking it slow, and get your message across in the most deliberate, measured and calm way possible. Leave the camera rolling throughout. There’s nothing more nerve-wracking than that little red light, and the word ‘Action.’ Leaving the camera rolling throughout the whole filming process – even when you mess up!- means that you’re less aware of the red light, and might forget it altogether. You can always edit the bloopers out. When you’re particularly nervous, you can really shrink into preservation mode. The hit your energy levels take can be a real knock to your personality. I used to call our filming room ‘the personality vaccuum,’ because it just took so much out of me. My antidote? Do a little light exercise beforehand to get your blood pumping. A few pushups are a great way to boost your energy levels and bring a healthy amount of verve and enthusiasm onto the camera with you. Video quality is also a huge deal. Imagine you were seeking a loan from the bank. They invited you to a meeting – and you turned up wearing a dirty t-shirt and ripped jeans, instead of a smart suit. Not a great message, right? It’s the same with low-quality video. If your video looks shoddy, it’s unlikely to convey an image of reliability. It’s even less likely to make you look like a cutting-edge, forward-thinking and sophisticated business. It isn’t just a bad first impression – it’s a horrible reflection of how you manage your business, and how seriously you take it. And the thing is – these days, there are no excuses. It isn’t like times gone by, when you needed a camera the size of a small suitcase to capture great quality video. You can shoot HD footage on your iPhone, pick up a simple but professional lighting kit for less than R1000, and get a green screen for around the R200 mark. You can use free video editing software to create a reasonably good finish, and you hardly have to break the bank for professional video production. Don’t sacrifice the success of your whole campaign, for the sake of saving a few bucks on your video production. If you’re really struggling for inspiration, we suggest spending a few hours browsing successful projects on Jumpstarter. What makes their videos so fantastic, and what can you borrow for your own campaign? And don’t forget – your campaign video is just the start of what video can do for your crowdfunding campaign. You could also consider raisnig awareness and understanding with a short 1-2 minute homepage explainer video, or a campaign of short, hard-hitting pre-roll adverts on social media. Good luck! Thank you so much for the advice.. I’m really exited to shoot my first campaign video..THANK YOU!!! Thanks for your message Andries.